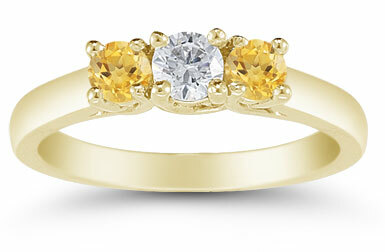 Fill your fashion fancy with this golden beauty from the Apples of Gold three stone ring collection. A clear, bright white diamond easily captures center stage in this ring. Measuring 0.25 carats, the diamond casts a rainbow of colors with its brilliant sparkle. Two equally stunning citrine gemstones, measuring 0.15 carats, make the perfect companion to the diamond with their dramatic yellow color. 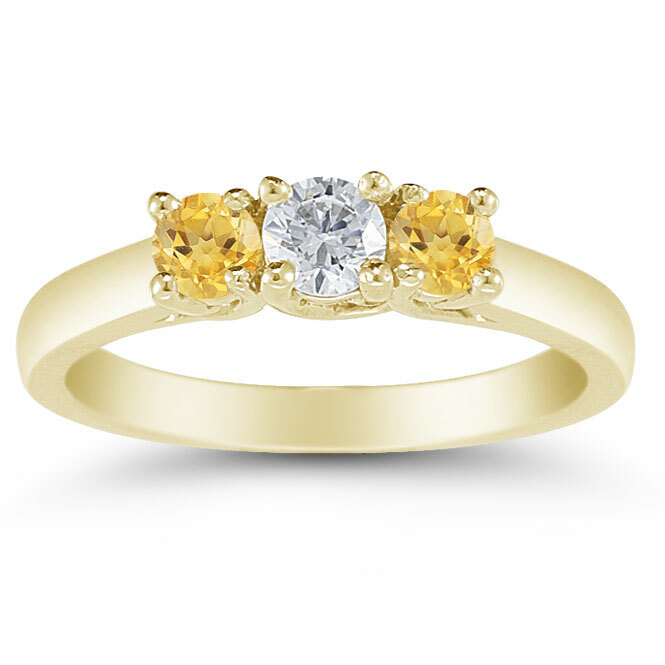 The stones are each set in four prongs of yellow gold to keep them safe, all supported by a polished yellow gold band. We guarantee our Three Stone Diamond and Citrine Ring, 14K Gold to be high quality, authentic jewelry, as described above.